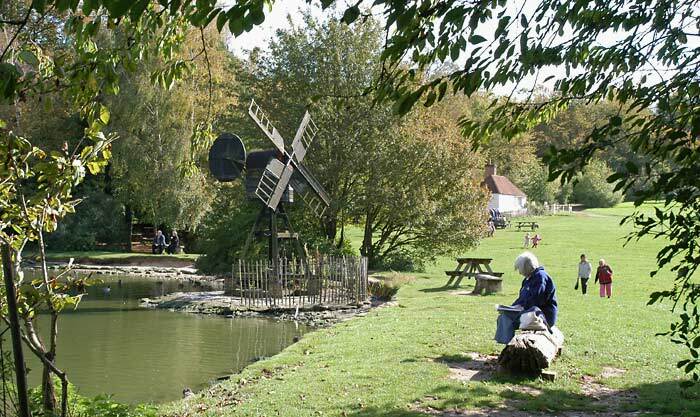 The Weald and Downland Open Air Museum is set in fifty acres of beautiful West Sussex countryside at Singleton. 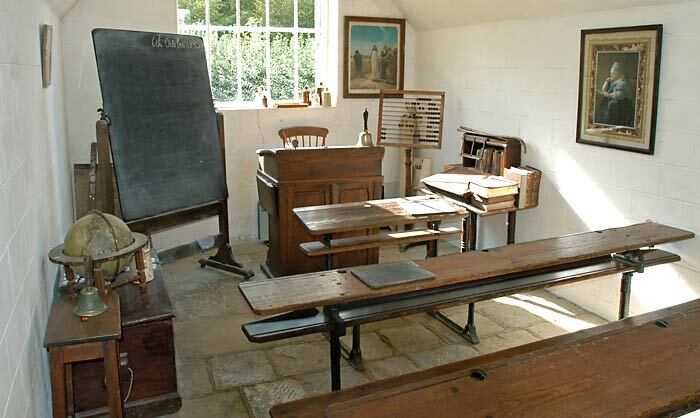 The museum houses a fascinating collection of nearly fifty historic buildings dating from the 13th to the 19th century, many with period gardens. 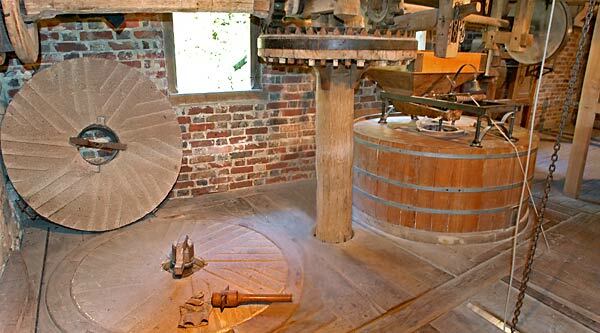 The museum was founded in 1967 by a group of enthusiasts led by the late Dr. J. Armstrong. 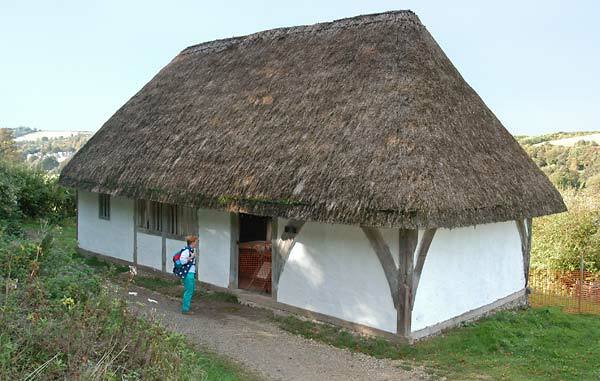 The aim was to establish a centre that could rescue examples of vernacular buildings from South East England. 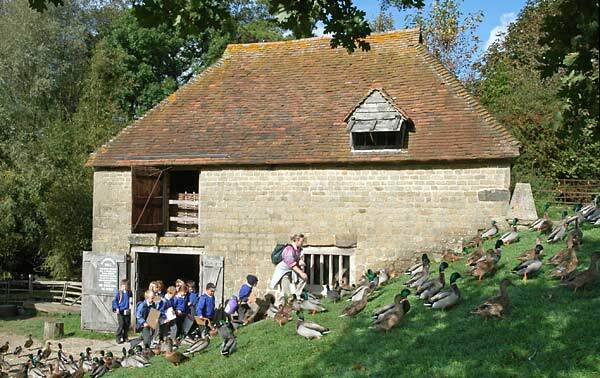 The buildings having been rescued from destruction are carefully dismantled, then conserved and rebuilt to their original form bringing to life the homes, farmsteads and rural industries from the last 500 years. 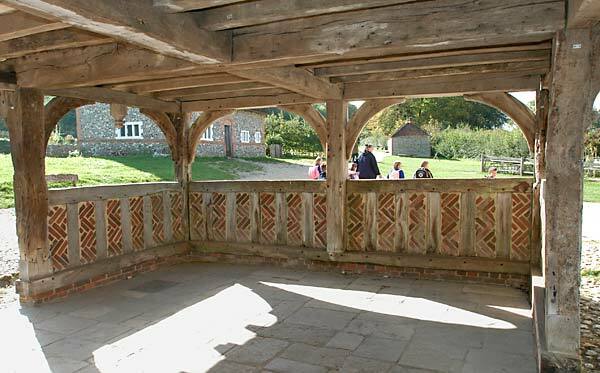 Above and below the 16th century Market Hall from Titchfield, Hampshire. The first floor served as the council chamber while at street level there is an open arcade where local goods were sold. Through the arch a party of children head toward the school, the small building in the background. 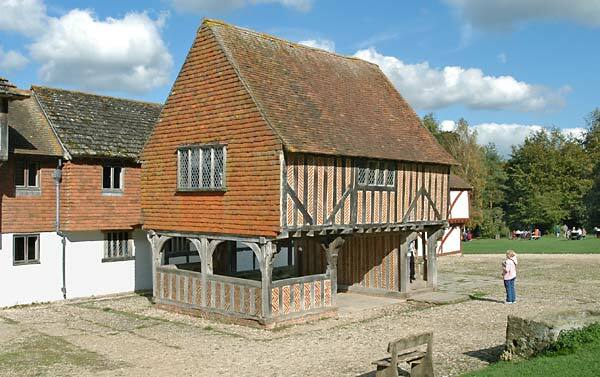 This hall from Boarhunt, Hampshire, is an example of a medieval open hall probably dating from the 15th century. 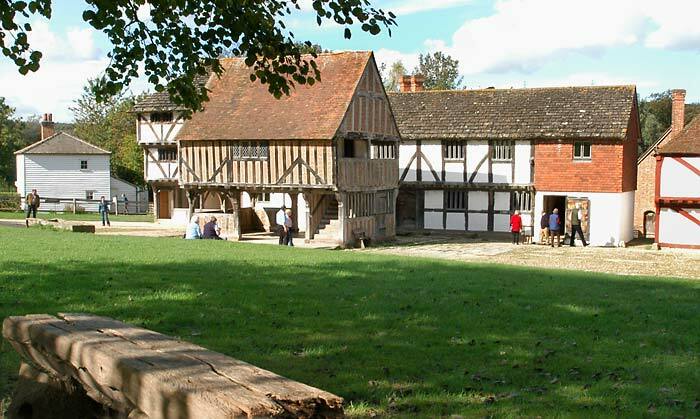 A feature of the building is the central roof truss, an example of "cruck'' construction. 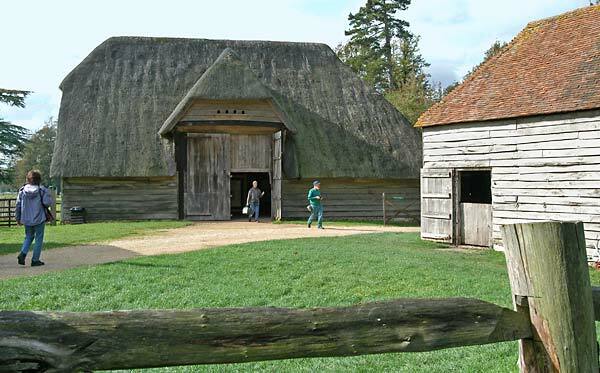 Another exhibit from Hampshire is a timber-framed barn from Lee-on-Solent, built in the late 17th or early 18th century it's now used to display the various building crafts. 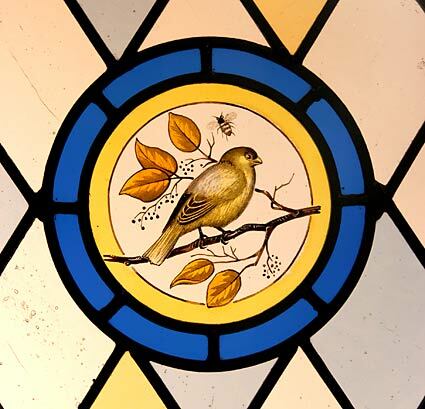 Below an example of stainedglass work.